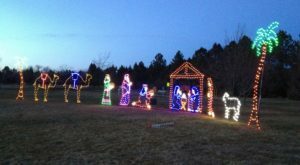 Now that winter is settling in and Halloween has passed, Christmas displays are starting to pop up along the roads and in stores throughout Wyoming. 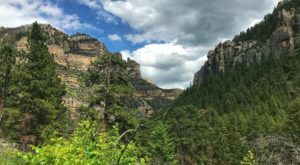 One display in Cheyenne won’t be ready for a few more weeks, but when it opens, it’s the most breathtaking sight in the state. 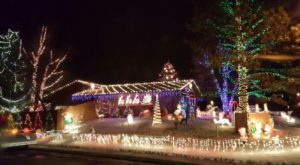 The Hemi Lighted Forest of Hope began in the fall of 2010, when Nancy and Gary Kelley decided to do something special for their granddaughter's Christmas Visit. Jessie Hall, the Kelley's granddaughter, had previously undergone a brain surgery called "hemispherectomy". Jessie had been experiencing seizures so disruptive and dangerous that she had to have a hemisphere of her brain removed. 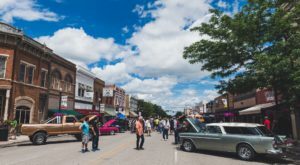 The Halls had established the Hemi Foundation to provide support and community towards other families going through the same difficult experience. 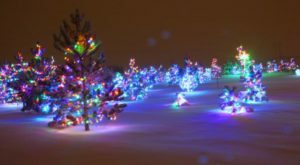 When word came that Jessie and family were visiting for Christmas, Nancy and Gary decided to light up a handful of trees in their yard. They thought it would only be right to light a tree for each of the children in the Hemi Foundation directory - and in 2010, there were over 400 children registered. This was going to be a bigger project than they had intended! Gary and Nancy spent that first fall decorating as many trees as they could to be sure each child had their own tree. 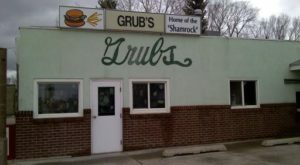 Neighbors, friends, and local businesses chipped in time, labor, and supplies to help make this dream come true. That first year started with 450 trees and 65,000 lights. 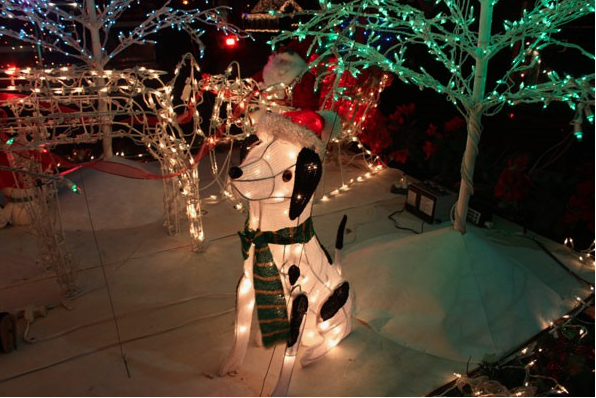 Jessie did not get to see the display in 2010, as she had to have another emergency surgery. 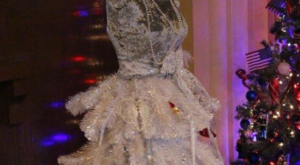 The Kelleys were determined to create a winter wonderland for the following year, and spent all of 2011 preparing. 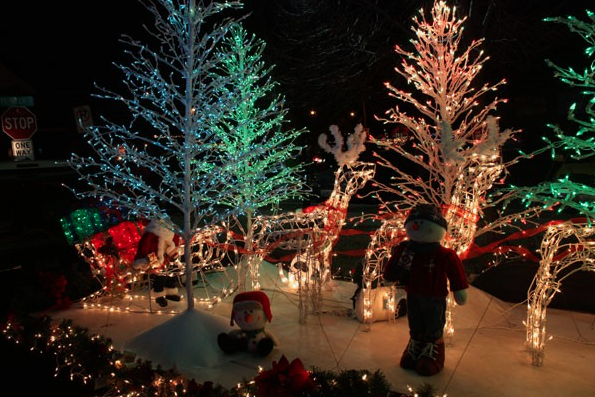 Last year, the display topped well over 600 trees and 200,000 lights. Each tree is dedicated to a special child, and families travel from all over to see the tree the Kelleys decorated for them. Every year, the display has gotten bigger and better. 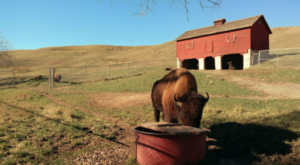 When you visit in 2018, you'll find a train, hayride, waterfall feature, and of course plenty of hot chocolate to go around. 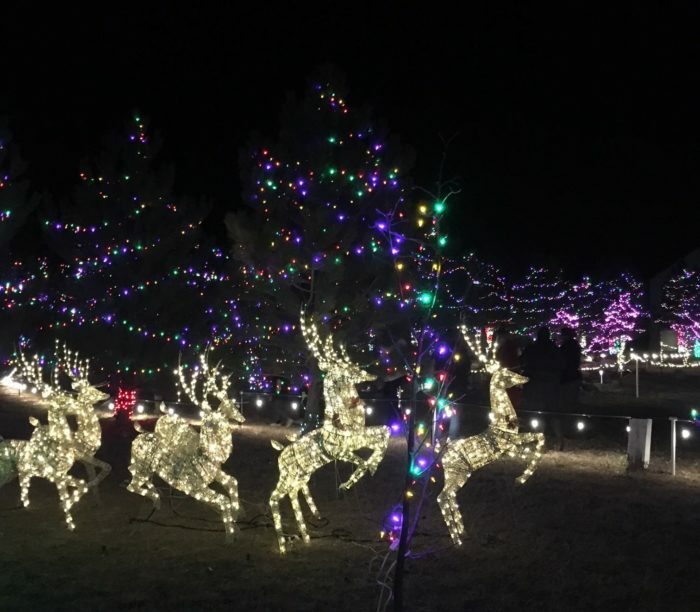 There's no better way to spread some Christmas Cheer than to come visit this incredible, inspiring Hemi Lighted Forest of Hope in Cheyenne, Wyoming. 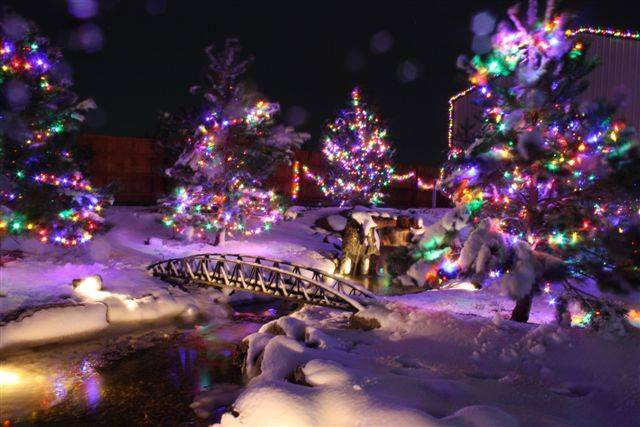 The Hemi Lighted Forest of Hope is located at 6565 Ashley Dr., Cheyenne, WY. The display is recurring nightly from November 24th through New Years’ Eve, from 6:30 p.m. – 8:30 p.m., with admission by donation. Hay rides are free, and train rides cost just $1. To learn more about the Hemi Foundation, click here.